Diva Bingo | Spin the Wheel for FREE today! Channel your inner Mariah, Beyonce or Madonna, and head to Diva Bingo, a top online UK bingo site for 2016! The fantastic pink site is filled with sparkly diamonds, amazing promotions and offers and loads of brilliant games. With their chat feature you can chat to fellow divas across the UK and have loads of fun. Read below to see why Lord Bingo loves Diva Bingo! As soon as you sign up and make your first deposit of £10 or more you will receive a 200% bingo bonus and a 200% slots bonus. 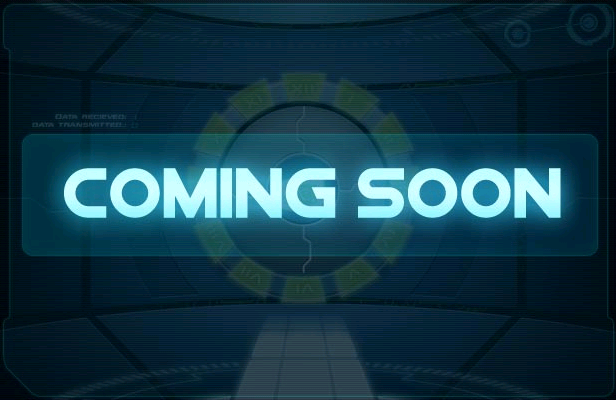 This means you can collect an additional £20 Bingo Bonus funds and £20 Slots Bonus to start your glam adventure. After you pick up your deposit bonus, you can enjoy the Diva Bingo spin the wheel bonus where you can win from £10 up to £2,500. You also have access to bingo rooms for 48hrs where you can play for free as soon as you sign up and still win cash from the amazing bingo jackpots. Diva Bingo has top promos like the “Who wants to win £10,000?” guaranteed jackpot game. There’s also the amazing Bingo on the Diamond game where you can win £5 in bonus cash. What’s more? There’s Cashback for Everyone on the site! You can grab as much as £500 cashback on all of your non-winning bets on bingo and slots, so whatever happens, you’ll take home some cash. 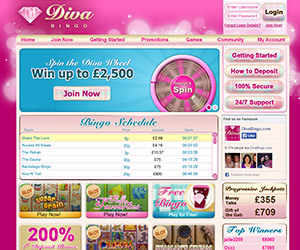 Diva Bingo has a fabulous selection of games to choose from. Whether you're into 75 ball & 90 ball bingo, chat games or even Free Bingo, there's something to suit every taste. In addition to the top bingo games that you would expect from a veteran online bingo site, Diva Bingo also caters to players with top online slot games, jackpots, instant wins and casino games. Some of the top titles players can choose from include the ever-popular Fluffy Favourites, Sugar Train Slots, Cleopatra, Shaman's Dream and loads more. 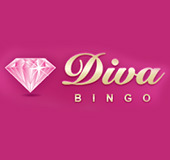 Channel your Diva on the go and play Diva Bingo mobile on your smartphone, Apple iPhone, Android devices or tablet. You can access the same bonuses, Spin the Wheel offers and awesome games! If you love Diva, then you can also try Cupcake Bingo and Sparkling Bingo!